PARIS – The French space agency CNES plans raise 80 to 100 million Euros ($93 million to $116 million) for CosmiCapital, a venture fund to support European startups focused on space and space applications. 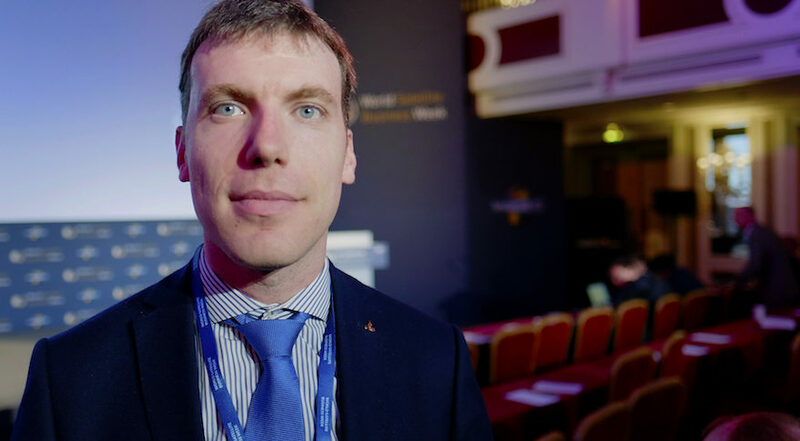 “We have a lot of opportunity, a lot of demand and we are providing a lot of support,” said François Alter, business development officer in CNES’ Directorate for Innovation, Applications and Science. In addition to providing its own funding, CNES is soliciting CosmicCapital investment from European space companies, banks and other institutional investors. Already, 150 startups have applied for CosmiCapital support, Alter told SpaceNews at the World Satellite Business Week conference here. CosmicCapital plans to provide funding to four or five startups annually, Alter said. French President Emmanuel Macron, a former investment banker, is promoting policies to encourage entrepreneurship in France. Three to four years ago, France produced one space startup every two years. In the last three years, CNES supported 60 startups. To date, twenty-three of those startups have attracted investment, Alter said. CNES engineers are working inside Station F, the world’s largest incubator, in Paris. “Each time a startup needs to know more about space, like data or technology, we provide support for them to integrate space into their business,” Alter said. In 2017, CNES supported the creation of several French startups, including Unseenlabs, which raised 7.5 million Euros ($8.7 million) for its maritime surveillance cubesats, and Exotrail, which raised 3.5 million Euros ($4.1 million) for small satellite propulsion and satellite propulsion software. Throughout Europe, space investment is growing rapidly. From January 2017 through the first half of 2018, U.S. space investment doubled while European space investment quadrupled, said Mark Boggett, managing director of London-based Seraphim Capital, which established a space-related fund in 2017. During the same period, entrepreneurs in the United States formed space companies at a steady rate of approximately 20 to 30 per quarter. In contrast, European entrepreneurs, who established only seven or eight space businesses in the first quarter of 2017, formed more than 20 startups in the second quarter of 2018. “The overall market is seeing the rest of the world and European investors come in,” Boggett said.